A view from Anzac Bride across to the Sydney Harbour Bridge. Taken as a bus carried me over the bridge to Balmain. I think it is quite good for a short taken with a camera phone as the bus hurled along, but I would have liked something better on me to take the phone. 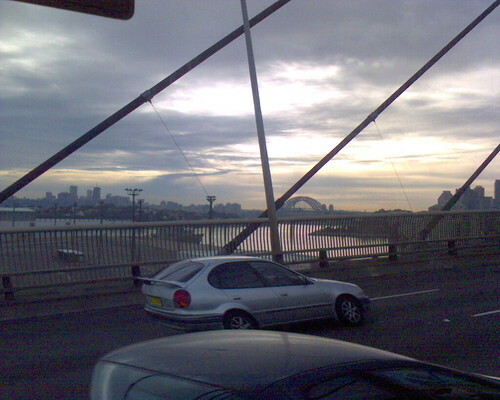 This entry was posted in Photos and tagged bridge, clouds, photo, Sydney. Bookmark the permalink.